1. The expectation will be that there will be a maximum of 6-8 full positions a MAX. That would be considered fully ‘invested’. Naturally it will start off at ‘no’ positions and may have less than the 8 positions for long periods of time, if it is not smart to be fully invested. Note that 8 ‘full’ positions could be more than 8 partial positions or any other combination. 2. Depending on the set up, it is possible that a position may be started with a ‘half risk’ or it may be full risk. Naturally your risk unit is up to you, that is how much you would lose on a trade based on your account and comfort level. You can always determine this because the entry and stop are always given with any play. For example, if you want to risk $1000 and the play had a stop of $2.00, you could buy 500 shares. NOTE however, holding overnight has the risk of a stock gapping against you so you need to make sure your risk amount is such that even a bad gap will not hurt ‘too much’ although this is tough to judge and a necessary risk of long term investing / trading. 3. Targets and management will be provided on a regular basis. 4. It will never be the intention to enter a position close to earnings. However, positions will be held through earnings if they are ‘seasoned’ generally meaning at least a 5% profitable price move since entry. 5. Positions may include both long and short positions. This will be influenced by the overall market environment, but may also be due simply to unique patterns. It may also be a ‘hedge’ in an uncertain market. 6. The GOAL is to achieve minimum of 20% annual return in any market environment. 1. It will arrive in your inbox as an email with the appropriate email heading, depending on the purpose of that letter. 2. There is no regular schedule. You don’t take positions on Mondays or the 10th of the month, you take them when appropriate. 3. Expect a letter every two to three weeks even if it is only a general update. a. General Update – No urgency, no new play, no position changes. Simply an update on the market, or on the watchlists, or on the current stalkers. c. Position Changes – Important and may or not be urgent. Changes to the management of open positions. 5. 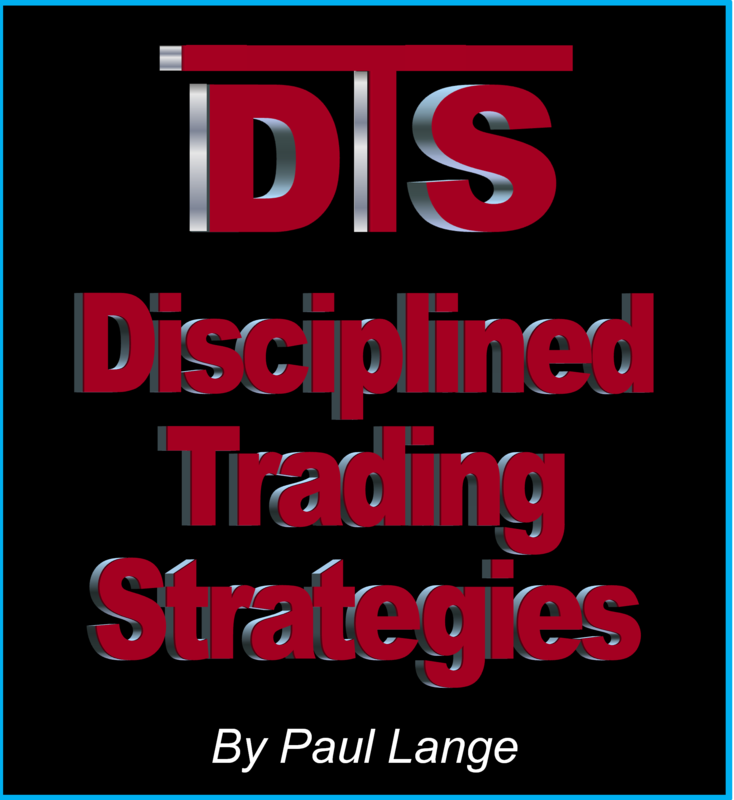 Since there is not a set schedule, you will be provided a link to a website that will list the date, time, and title of all DTS LTT releases so you can feel at ease that you have not ‘missed’ anything. 6. While most new positions will arrive after market hours, new positions could be issued at any time during the day. In today’s modern world you should have the ability to have access to your account at any time. Naturally you could choose to wait until after market hours. However, there is no point in penalizing those who can enter during the trading day by withholding the call. Since it is not expected that everyone will have immediate access to their account, the letter will track plays based on the latest entry that would have occurred within 30 minutes after the email landing in your inbox. Note this is a Long Term Letter and this is not likely to happen much. 1. One big concept is to start off safe. So it could be a slow start. I look to never have more than 2-3 risk units at risk. So if two positions are entered and both are full positions and no stops are changed and no targets are taken, there generally would not be another position until a partial target was hit or a stop was moved up. This is how to safely build into a larger portfolio. Note that this concept is still at risk on a disastrous market gap down as ‘stops’ are not insurance policies on a big gap down. 2. Generally speaking I like to get ‘safe’ with a third of the trade fairly quickly on a nice pop in the right direction. This allows more flexibility and lets you build the portfolio and the ‘back halves’. 3. Strategically I am not a ‘bottom fisher’. Remember everything looks like a bargain on the way to ‘zero’. Occasionally exceptional quality plays may look like that (naturally ‘bottom fishing’ is not a strategic term, but one everyone relates to). I do like steep pullbacks in strong trends. I also like transitional types of plays.